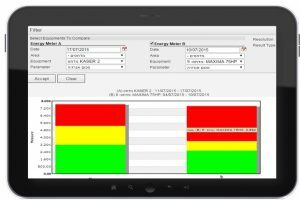 Why energy monitoring system of meter manufacture doesn’t fulfill the needs of a factory or enterprise? The variety of meter manufactures and high cost of energy becomes a major expenditure factor for enterprises and companies. The need to manage and centralize the information into a neutral database that does not depend on the type of the meter is essential. How does ASC-EMS help managers in the factory / enterprise accelerate the decision making process? A universal visual solution in real time for all energy & utility consumers on one screen . An analysis and alerts on leakage and waste via the Internet and cellular networks. Savings -Your Savings are achieved by us Identifying and presenting you with an efficient, economical and optimal ways to utilizes your equipment. Simulation – We provide simulations that estimate the savings and impact of proposed changes in the operation. Our system Identifies and utilizes an early prediction method that predicts potential malfunction scenarios that enable the user to take preemptive measures thus shortening the potential costly downtime. Holistic monitoring – A central database with access via: Internet browser – cloud (Saas) from a remote PC or smartphone. Integration –Integration with multiple sub-systems: Multi-Meters, PLC’s, SCADA, Pumps, Chillers, Compressors, Generators, UPS, VIDEO, ERP. 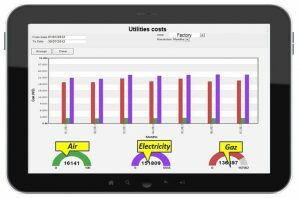 Analysis and reporting– A Custom consumption reports, load / loss analysis and deviations, smart grid management. Amitec’s Asc-Ems is an innovative system that is the result of many years of experience. Amitec’s Asc-Ems is designed to intelligently streamline the operations in the organization in order to achieve the most efficient method of operation, Amitec’s Asc-Ems Diagnose faults, irregular losses. In its decision making process, Amitec’s Asc-Ems also takes in considerations factors such as: economic and technical aspects, thus elevating your savings to new levels. Management of meters such as: electricity, water, gas, fuels and compressed air. Automatic comparison between meters – detection of irregularities and losses. Generate alerts and send notifications by :SMS and EMAIL. The system generates and Sends automatic consumption reports.